Rejected as an actor in LA, eccentric outsider, Tommy Wiseau (James Franco), decides to take matters into his own hands and write, produce and star in his own film. Enlisting the help of his best friend, Greg (Dave Franco), Tommy sets out to make his masterpiece - The Room. The film soon developed a remarkable story of its own and is now regarded as the best worst movie ever made. When watching James Franco in The Disaster Artist you see Tommy Wiseau. You don’t see an actor playing Tommy Wiseau - you see Tommy Wiseau and you hear Tommy Wiseau. This is a tremendous performance from Franco - made doubly impressive by the fact that he also produced and directed this wonderfully hilarious and engaging film. On the face of it, The Disaster Artist is about the making of cult cinema classic, The Room. However, at its heart, this is a surprisingly uplifting film about friendship, creativity and ambition. It is a movie that explores what can happen when you have the courage to follow your dreams. While we are fascinated by the bizarre story of The Room and amused by Tommy’s outrageous behaviour, we are not invited to simply point and laugh. Instead we are encouraged to see an open hearted, endearing man whose steadfast refusal to allow anyone to ruin his dreams is really rather inspiring. James Franco’s passion - both in regards to his performance as Tommy and for his story - is clear in every scene. In addition, the attention to detail within The Disaster Artist is extremely impressive (check out the film’s fantastic end credit sequences... oh and stay to the very end for an extra treat). This level of commitment (and the real Tommy's involvement) could have made it difficult for Franco to remain objective. 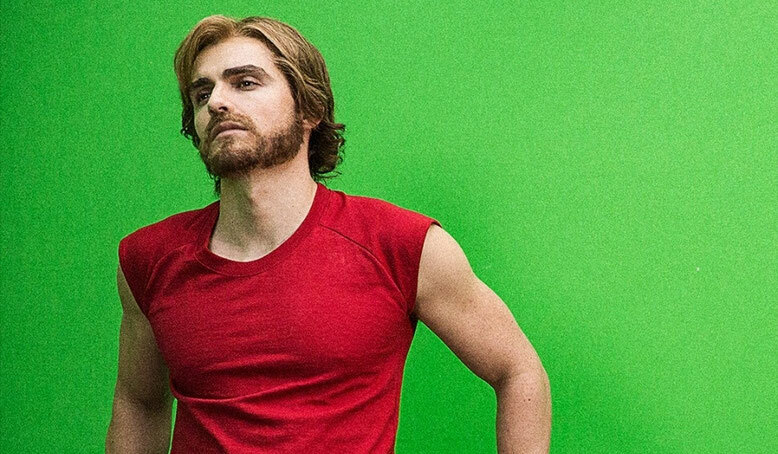 Thankfully, The Disaster Artist is unafraid to portray Tommy’s darker, more distasteful side. This is the side that behaves erratically and often appallingly, tormenting Greg and threatening their friendship. While his older brother has the more flashy, attention-grabbing role, Dave Franco is baby-faced brilliance as Greg. This is as much his story as Tommy’s (the film is based on his book The Disaster Artist: My Life Inside The Room, the Greatest Bad Movie Ever Made). Crucially, he conveys Greg’s initial attraction to Tommy and it is through his eyes that we see how The Room destroys and, later, saves their friendship. Meanwhile, The Disaster Artist features a number of wonderful supporting roles and classic cameos. Seth Rogan and Paul Scheer are brilliant - highlighting the craziness of The Room’s script, shooting and set. Also look out for hilarious turns from a scene stealing Zak Ephron and Josh Hutcherson. The Disaster Artist is a fascinating portrayal of a truly unique character and a remarkable movie. James Franco’s direction and portrayal of Tommy deserve high praise (or, as some have pointed out, Hi Marks). Whether you are acquainted with The Room or not, watch The Disaster Artist - it is one of the best, most uplifting comedies of 2017. You do not need to see The Room to enjoy The Disaster Artist. Franco's film tells you (and shows you) all that you need to know. However, if you haven’t seen Tommy Wiseau’s movie you will more than likely want to watch it by the end. It is brilliant (and so very meta) to think that after paying for The Room to be screened for long enough to qualify for Oscar consideration (to no avail of course), Tommy Wiseau may yet end up at the Academy Awards thanks to The Disaster Artist. The question is no longer will James Franco be able to portray Tommy Wiseau… it is will he be able to stop playing Tommy Wiseau! The actor cannot help but slip into that remarkable, untraceable accent in every interview. He is even answering the telephone (on a special number mirroring Wiseau’s original The Room billboard marketing) as Tommy! 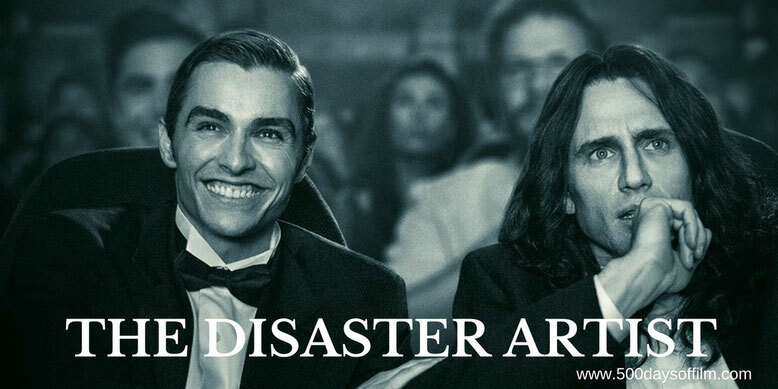 Have you seen The Disaster Artist? If you have, what did you think of this film? Let me know in the comments section below or via Facebook or Twitter (@500DaysOfFilm).